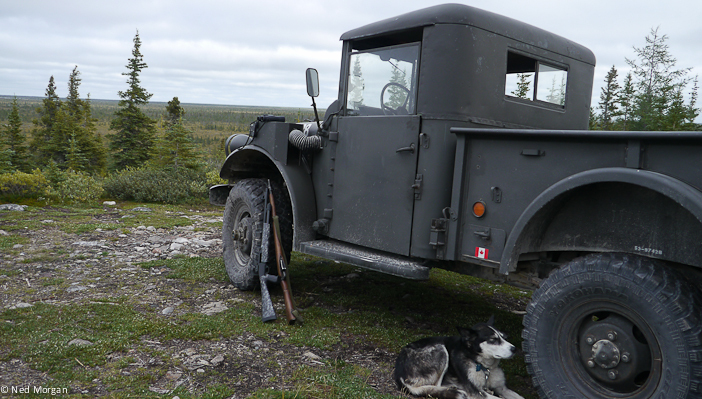 Here in the taiga you go berry-picking only with rifle, dog and Jeep support. Korean War–era Jeep at the end of the road. Through gaps in the roadside bush we see a flat, endless expanse of soggy turf, stunted trees and countless small lakes – a land devoid of trails or human comforts. (Churchillians call their inland surroundings “taiga” – a Russian word for the swampy, transitional coniferous forest between the Siberian tundra and steppe – to differentiate from the true boreal zone to the south). Once past the Twin Lakes, the road becomes impassible and we walk on into the forest. Here the true colour and variety of the taigascape comes into view. We’re here to pick blueberries, crowberries, cranberries and red currents. 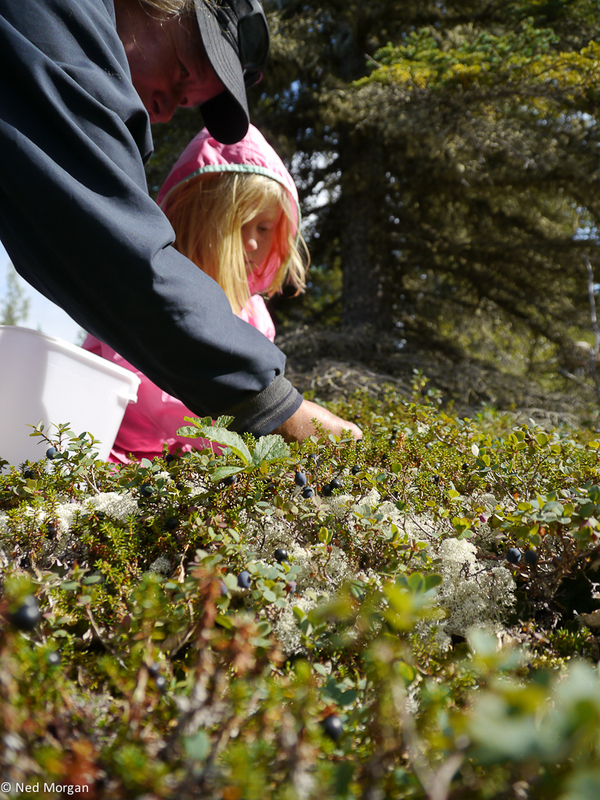 In Churchill where fresh produce is expensive, people scramble to harvest these berries during a narrow two-week window. 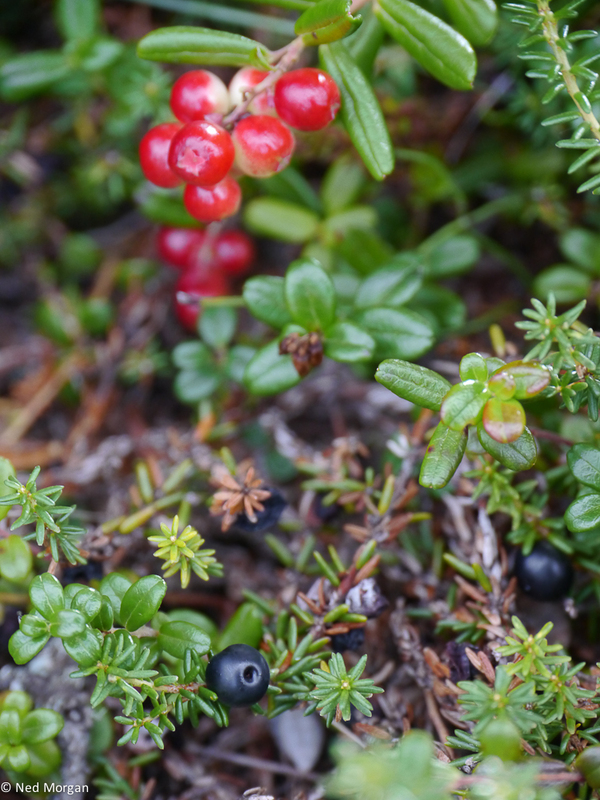 Berries grow everywhere in this spot and your hands don’t have to wander far to find more, standing out brightly against the milky-grey caribou moss. 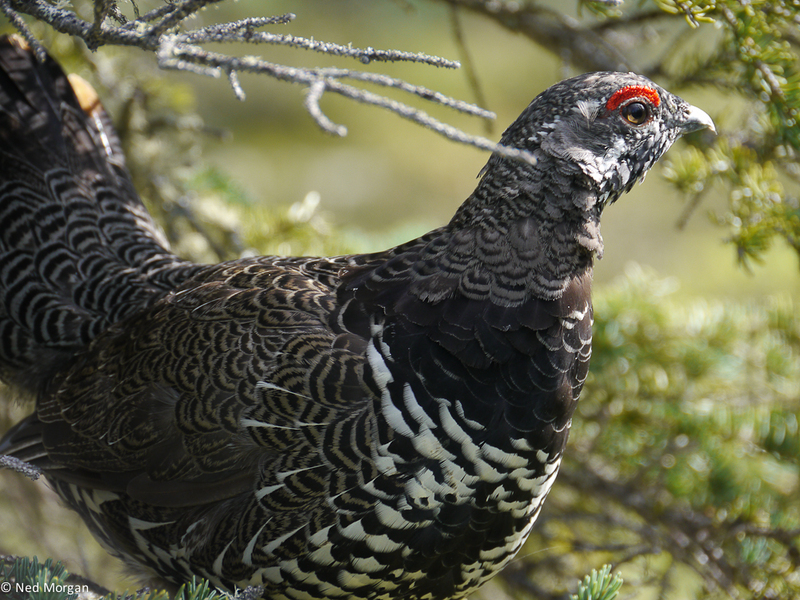 Later I spot a spruce grouse in a spruce tree. When others in my group spot the bird and approach, the grouse prepares to take off. 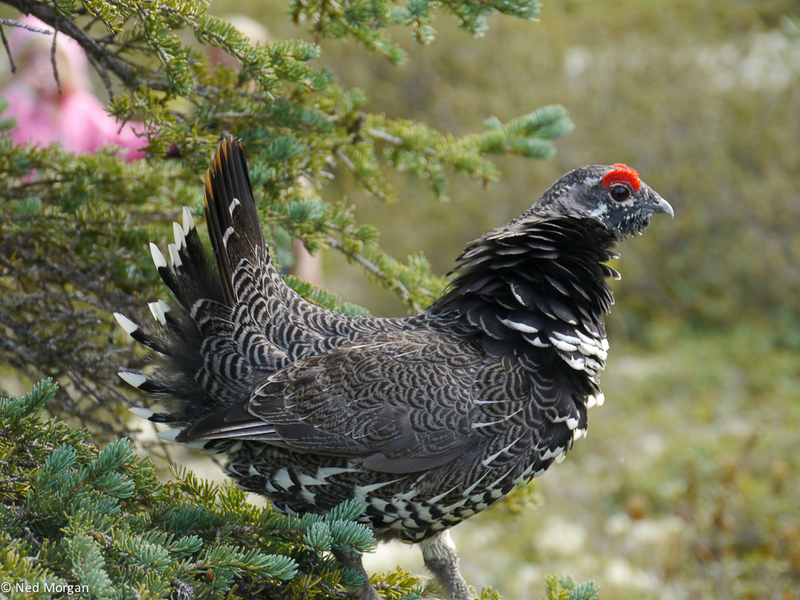 Flight does not come easily to the spruce grouse. It careens from tree to tree, barely making it to each shaky perch. My Churchillian companions tell me the grouse is easy to catch with your bare hands, and tastes like chicken. Fortunately for the grouse, and perhaps due to the presence of vegetarian tourists, no one harvests the hapless bird. We berry-pick for only two hours because someone has a plane to catch, and many of the berries aren’t ripe yet. One of my guides, Jenafor Ollander of Blue Sky Expeditions, will return next week and spend at least three days picking berries. This is a fleeting time of colourful bounty in an otherwise savage landscape, and all available fruits must be harvested. 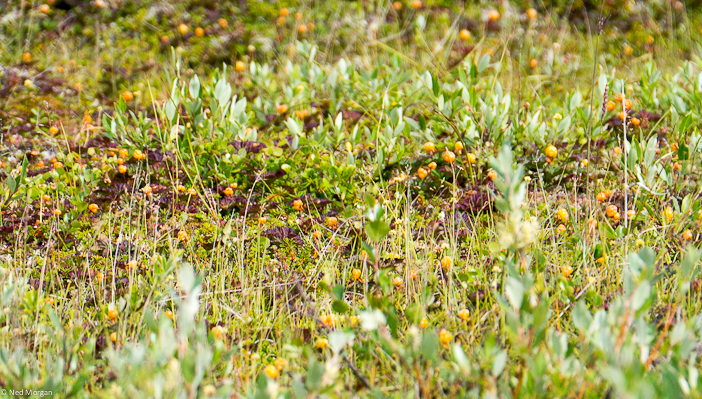 North of Churchill, near the Seal River Heritage Lodge, we found cloudberries in abundance.